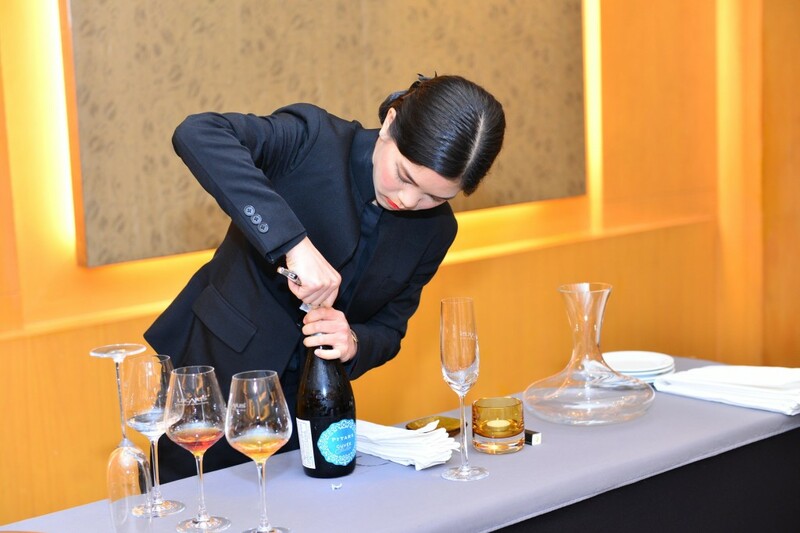 Each participant was tested on service, blind tasting, and theory, consisting of A Practical Exam, with each contestant competing in a “mock” restaurant” scenario, each assigned a table number, and judged on how to perform Champagne service, decanting wines, appropriate glassware choices for spirits and blind spirit identification of crafted beverages by nose. Next came the blind tasting, with the contestant having to deduce 4 wines (2 white & 2 red) naming the wines grape varietals in 25 minutes for all wines. 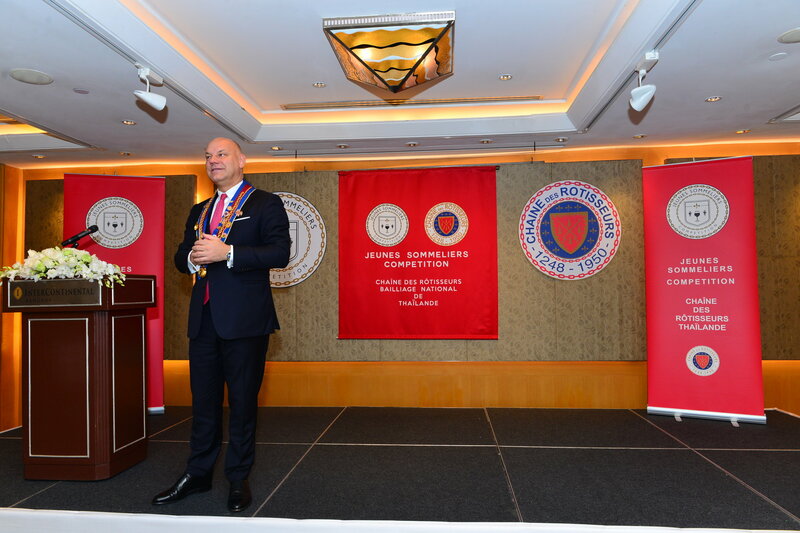 The final and the most intense was the theory exam with each contestant given 50 questions to answer within 1 hour these being based on the Advanced Sommelier Exam conducted by the Court of Master Sommeliers. 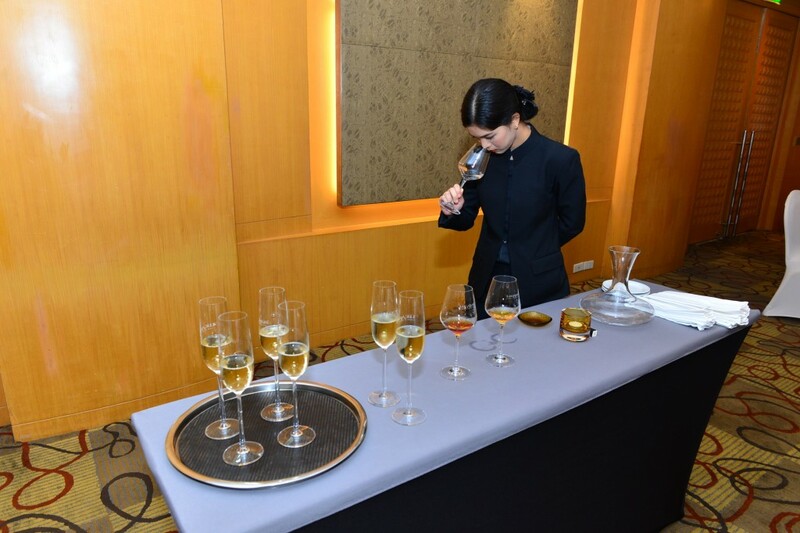 The lucky first-prize winner was Ms. Phanwadee Manusphaibool, Sommelier for L’Atelier de Joël Robuchon, who will receive a fully paid trip to Budapest to compete in the international finals September of this year. 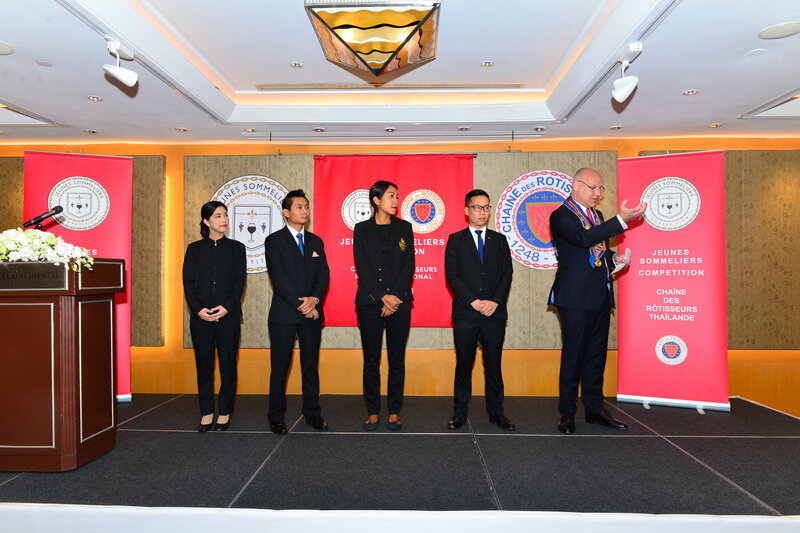 The other participants included Mr. Dirakerit Kotchawong, Assistant Manager/ Sommelier of Riedel Wine Bar; Ms. Nepaka Thongkerd, Sales Executive for Texica; and Mr. Watchara Leelao, Sommelier of the Grand Hyatt Erawan Bangkok. 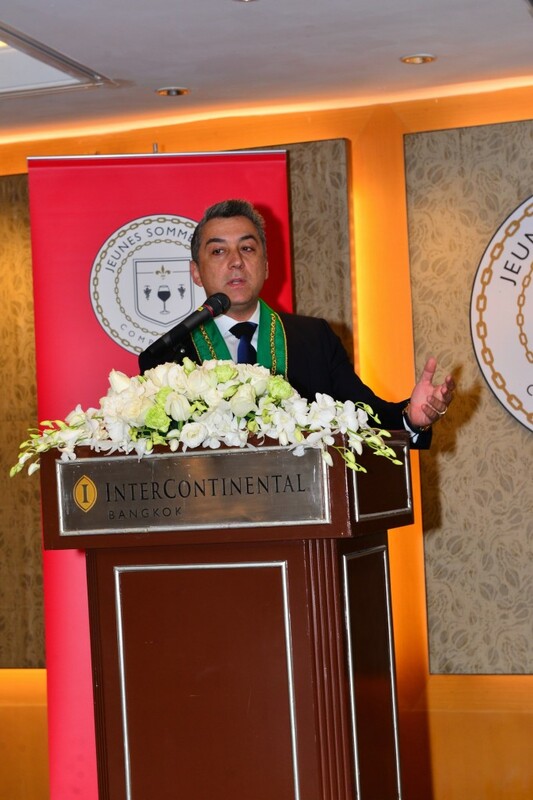 The mission of the Chaine des Rotisseurs members is to promote, encourage, and support young professionals seeking to be the best sommeliers of the future. Their goal is accomplished by the organization promoting enjoyment, knowledge and an understanding of fine wines and crafted beverages.